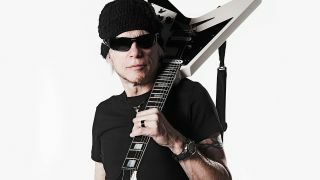 Michael Schenker has ruled out any possibility of playing with UFO on their farewell tour. Frontman Phil Mogg – the band's only ever-present member – announced his decision to retire from UFO earlier this year and will bow out following a 50th anniversary tour in 2019. Many fans would like to see former members make guest appearances during the dates in the UK and Ireland, but the guitarist won’t be one of them and he’s explained exactly why he won’t take part. He tells Classic Rock: “Bands like UFO and the Scorpions are trying to fool the audience, and I’m not a part of that world. It’s becoming a trend to make a big deal about playing last shows, and those bands do it because they can’t get anywhere in a normal way. “I returned the UFO name to Phil Mogg in 2003 – it was a precious gift that I gave him for free and he didn’t even thank me. Why should I show up with UFO again? Schenker and Mogg both live in Sussex, England, with the guitarist saying that they see each other often – but haven’t spoken recently. The full interview with Schenker will feature in an upcoming issue of Classic Rock magazine. UFO’s Last Orders - 50th anniversary tour will kick off at The Queen’s Hall, Edinburgh, on March 29 and conclude with a set at London’s O2 Shepherd’s Bush Empire on April 4.